As we all know, dinosaurs are one of the most ferocious predators in history. They usually live in the prairie, on the island, and even in the forests. Today, dinosaurs can only be seen through movies, newspapers and comics because they have long been extinct. If the dinosaurs were still alive, we would be in great trouble. Yet, there are still many who imagine it. If you go back to primitive times and live with dinosaurs, do you think you can survive? Join Survival Island: Primal Land and tell us the answer. Primal Land is a survival game that simulates the lives of people in a wilderness island with a myriad of dangerous dangers, especially the fiercest dinosaurs. Get started on this cool adventure game! A horrible thing happened, you got lost on a desert island, and you do not remember what happened. You woke up in a strange place, and there was nobody around to help. Obviously, living on the uninhabited island is very difficult, you have to do everything to survive! The game gives the player a rough axe. 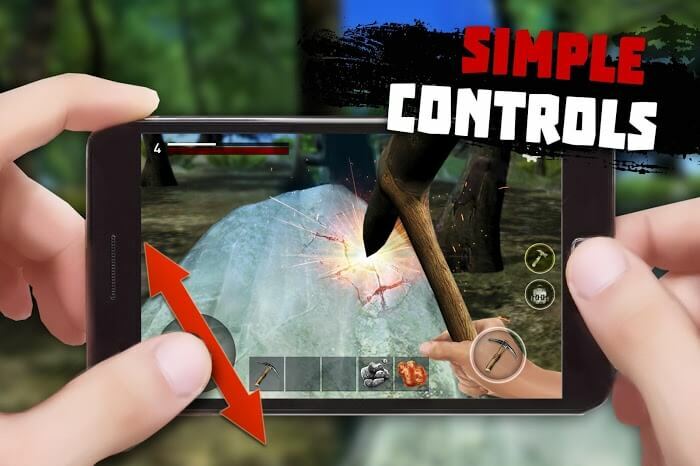 Players need to use the axe to look for food, resources and also to protect themselves by the animals around. Move around the island, to collect fruits like bananas, apples, etc. However, if you want to eat meat, then the only way is to kill fierce animals such as dinosaurs, cows, lions, etc. Players are provided with a certain amount of heal, keep them stable if you do not want to start a new game. Do not forget, things will get more dangerous when night falls. Collect essential materials such as wood, stone, rope, and build a shelter. Besides, players can also invent new and better tools such as bows, swords, torches, etc. They are really needed, such as a torch to help players see the way. At night, a hammer is needed to exploit rock resources, or bows to hunt animals for food. Interestingly, right? Do you want to know how difficult it is to be hungry, thirsty and life-threatening? Survival Island: Primal Land will give you an opportunity to experience the true feelings. Make plans to survive and get used to this harsh environment, then try to build a boat to go out and back home. 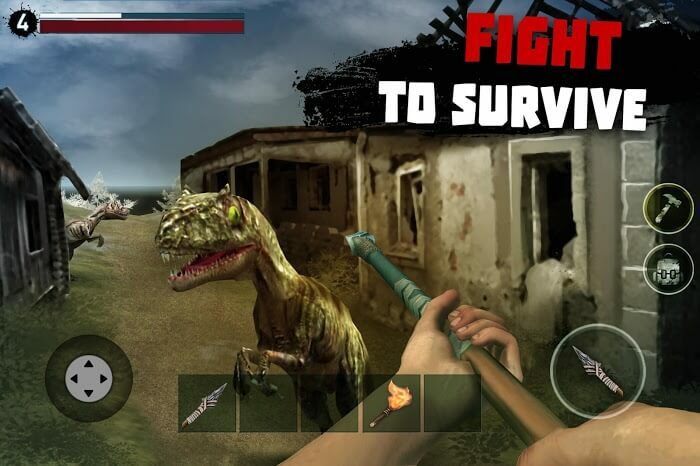 Fight the dinosaurs and other fierce animals to look for food. 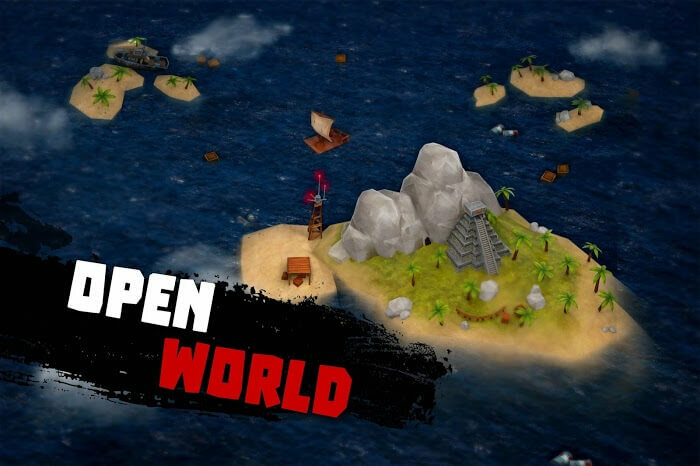 With the perfect 3D graphics combined with true sound, the game will bring the most enjoyable experience for players. 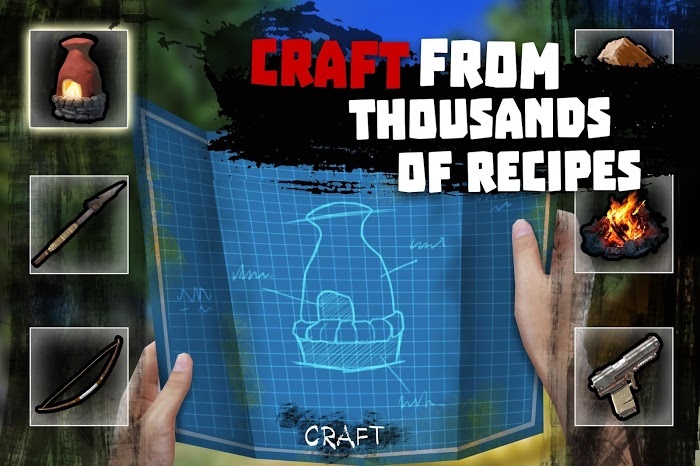 Download Island Survival: Primal Land and start the island adventure again.